Surprise someone special with a card message that pulls out automatically once it opens. Hi artsy friends, I am thrilled to share with you a pull up birthday card I created with We r Memory Keepers – For The Record’s collection. I love the earthy colours, the patterned papers you can find it this collection. The natural earth colours coordinate beautifully and easily with other embellishments. There are a variety of scrapbook ideas and cards I can think of combining it with this collection of papers because its patterned paper is printed with versatile embellishment design. I selected this unique, double-sided design stripe paper because it has a nice emerald green border at the bottom. and multiple patterns on this sheet of paper. This paper gives a perfect coordinate colour when the card layout is folded (which can be downloaded for use below). I love the colours combination and how easy it was to make a pocket card without using three different patterned papers. It also saves time on cutting paper and letting each layered paper contrast. Next, I cut the card layout, folded the dotted line that is drawn on the card layout, and adhered the sides to form a pocket slot. 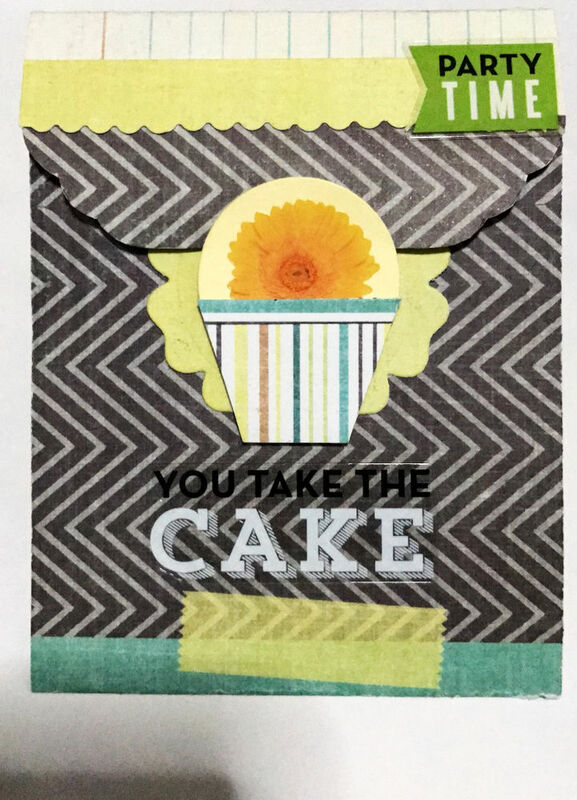 Using another patterned paper as the inside card sure to add some fun to the pull up birthday card. So I chose a colourful paper and intentionally used puffy alphabet letter stickers to create excitement, and soften the formal black card appearance. With the same reason, I created scallop border with my crafty scissors that has scallop pattern. While the card base has a yellow green washi tape design, I purposely handmade my own flower embellishment with yellow green paper and flower die-cut set for the consistent look. Thus, my embellishment is perfect for the primary colours of card base (yellow green, black, emerald green) and adding dimension to the card. The cupcake embellishment seriously captured my eyes because it cleverly turned into a sealer clip to seal the pocket card. I like the sentiment title sticker as it arouses recipient’s curiosity to open the card. It is a perfect addition! Thanks for browsing our page. 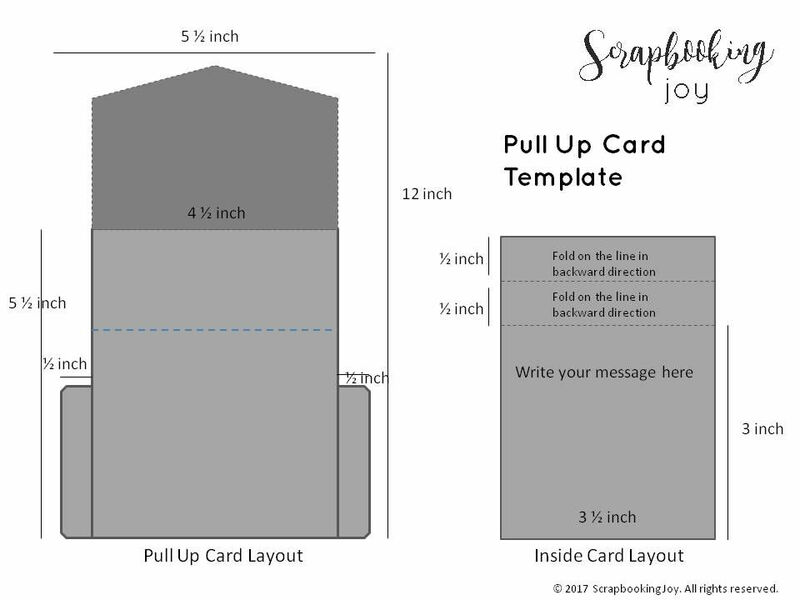 We hope you really have tons of fun making a pull up card with our template. Sharing is caring. Show off your beautiful DIY cards using our template at our Instagram by hastag #scrapbookingjoy.